Richard K. Abraham, Esquire has been practicing law for more than two decades. In 2000, he and Susan Affleck Bauer, Esquire, merged their existing law firms creating Abraham & Bauer, L .L.C.. He manages the firm’s Towson office. Mr. Abraham’s practice concentrates in all aspects of estate planning, estate law, elder law, and fiduciary representation where he serves as or represents the fiduciary in a large number of guardianship, trust, power of attorney, and estate cases. 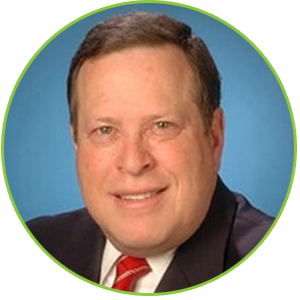 Mr. Abraham is active in several professional organizations that focus on law, the senior community and estate planning. He is a member the National Academy of Elder Law Attorneys (NAELA), the Maryland State Bar Association and its Elder Law and Estate Planning sections, the Baltimore County Bar Association where he sits on different committees, the Geriatric Assistance Information of Network of Harford County (GAIN), and Life Planning Resources (LPR) which he co-founded with Dennis Connelly. Mr. Abraham is also an experienced and popular lecturer. He frequently speaks in a continuing education format to other attorneys and to the public. Mr. Abraham has lectured for the State Bar Association, on a monthly basis to the pre-retirement employees of Baltimore City, at Johns Hopkins Hospital and Johns Hopkins University, the National Business Institute, Northrop Grumman, McCormack Spice, St. Joseph’s Hospital, the retirees of Bethlehem Steel, the employees of the FDEA and numerous civic groups.